Mahou Tsukai Pretty Cure! The Movie: Miraculous Transformation! Cure Mofurun! 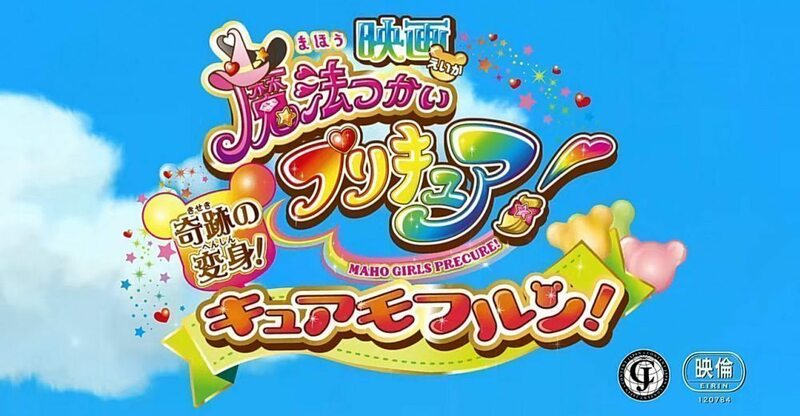 (映画魔法つかいプリキュア！奇跡の変身！キュアモフルン！ Eiga Mahō Tsukai Purikyua! Kiseki no Henshin! Kyua Mofurun!?) is the 21st movie produced by Toei Animation. The movie was released in Japanese cinemas on October 29th, 2016. The movie will be released on DVD and Blu-ray on March 1st, 2017. I’m, Asahina Mirai! Everyone, do you know about the “Wishing Stone”? It’s a powerful stone that can grant any wish you want! Today is the day we’re celebrating its revival, a huge magic festival that only occurs once a century♪ Together with Riko and Ha-chan, I wish upon this “Wishing Stone”, but believe or not, it chose Mofurun’s wish! This is truly exciting!! However…a mysterious bear・Dark Matter suddenly appears, and takes Mofurun with him!! I have to definitely save Mofurun! Even when we’re separated, the wishes of all of us can bring about miracles!! Well that is what I thought, what~~~!! Mofurun became a Pretty Cure~!? Mahou Tsukai Pretty Cure! The Movie: Miraculous Transformation! Cure Mofurun!